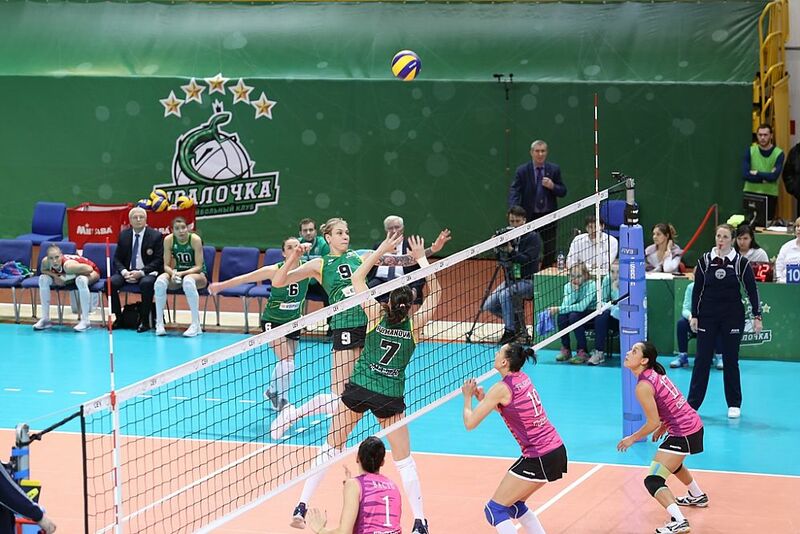 Home / News / Hurray for Ural, Hurray for Uralochka! 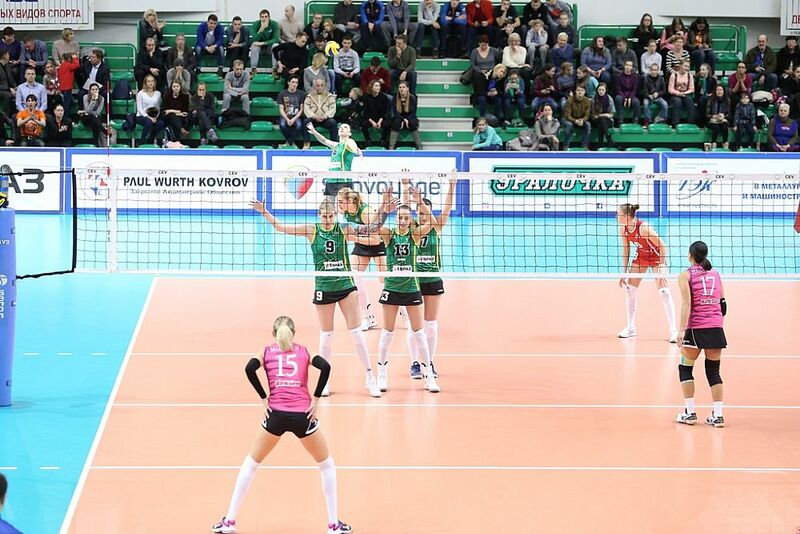 Hurray for Ural, Hurray for Uralochka! 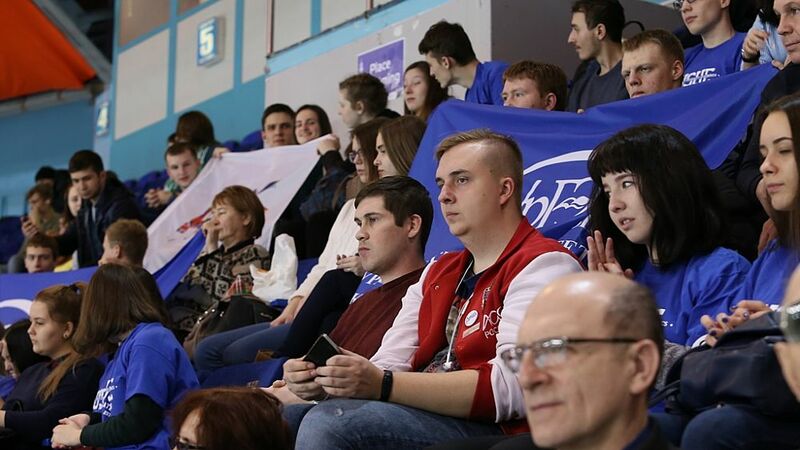 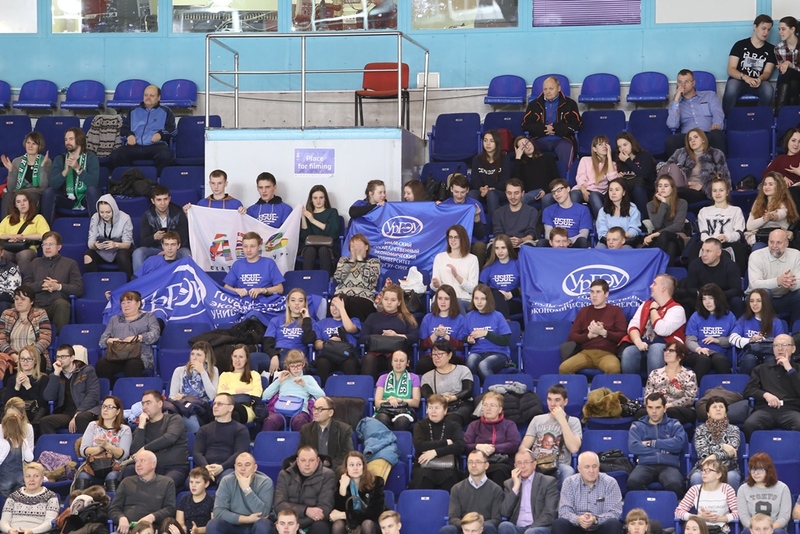 USUE students supported Uralochka-NTMK team in the return match of the round of last 32 of the European Volleyball Confederation Cup (CEV Cup). 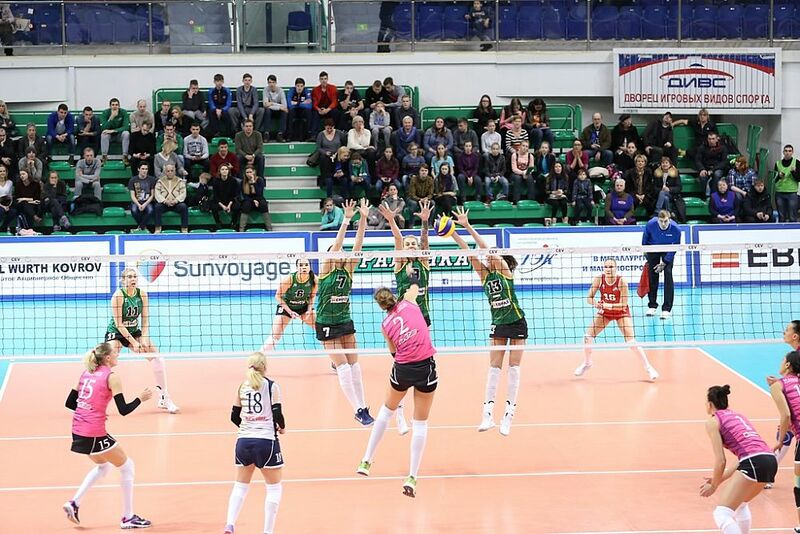 The international match against the Romanian CSM Bucharest team was held at DIVS (Palace of Team Sports). 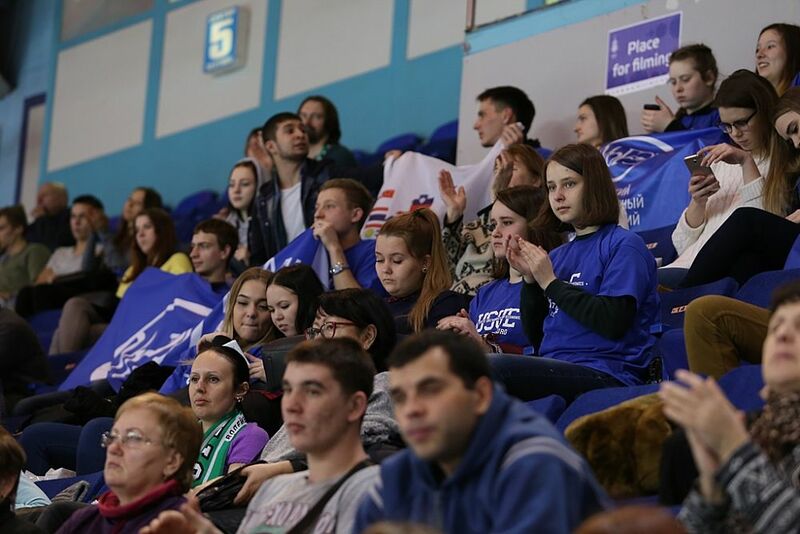 A few dozen students waving flags drove the Ural volleyball players forward. 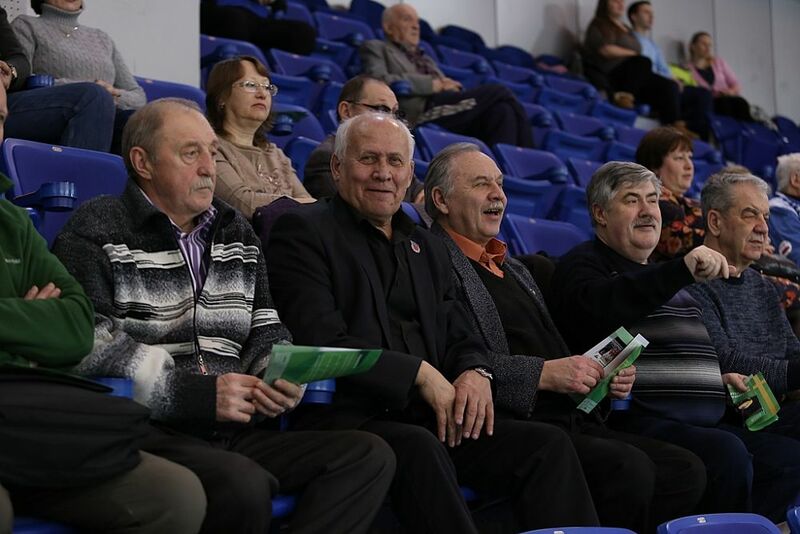 Yakov Silin, USUE Rector, also followed the keenly contested game. 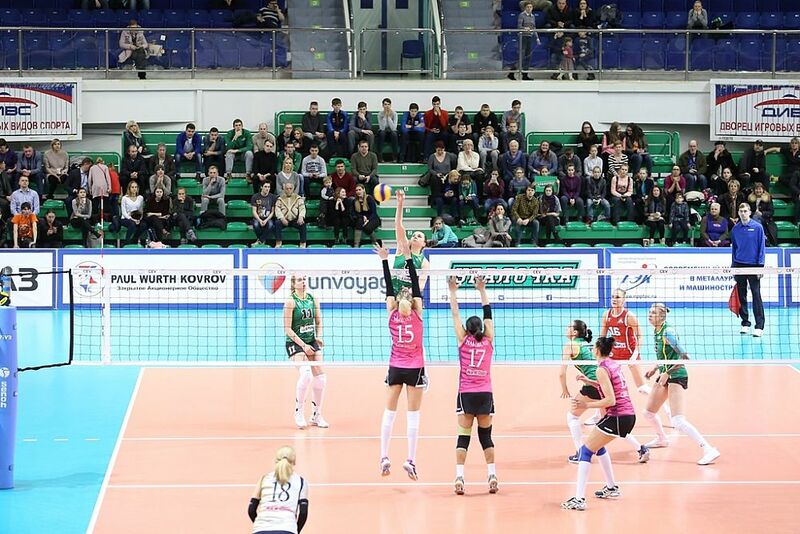 In the first visited match, Uralochka- NTMK firmly beat the opponents. 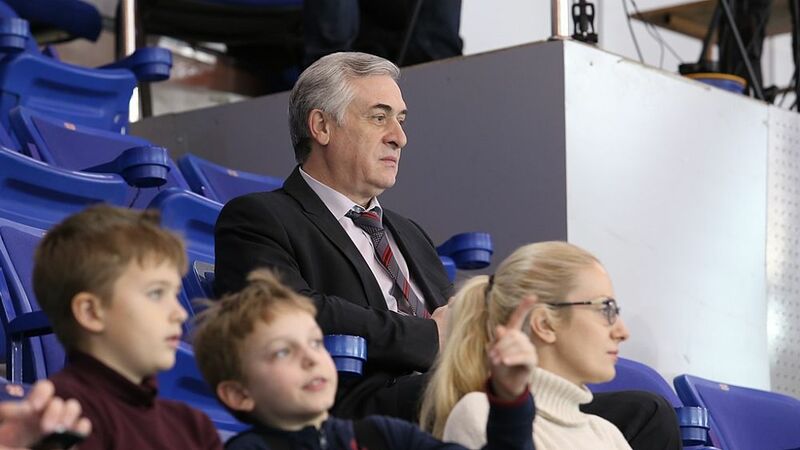 To enter the next stage of the competition, the team of Nikolai Karpol needed to win in Yekaterinburg. 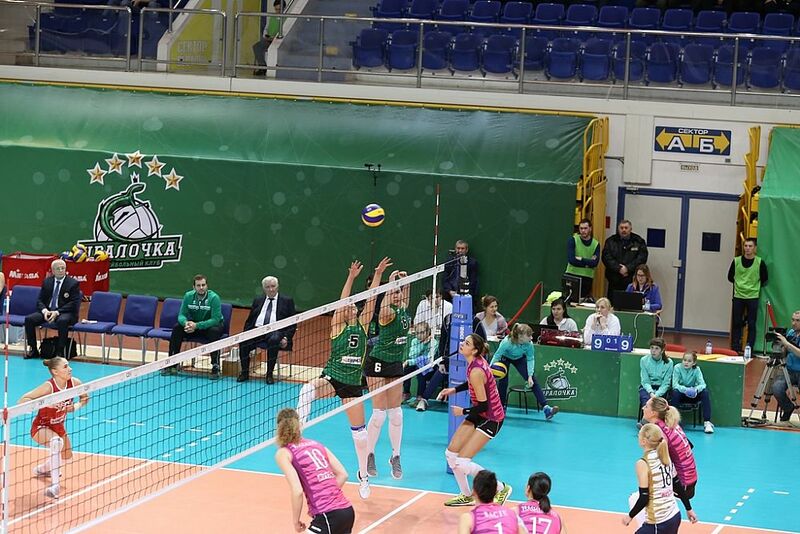 However, in the first set, our girls lost. This was where the support of the tribunes came in handy. 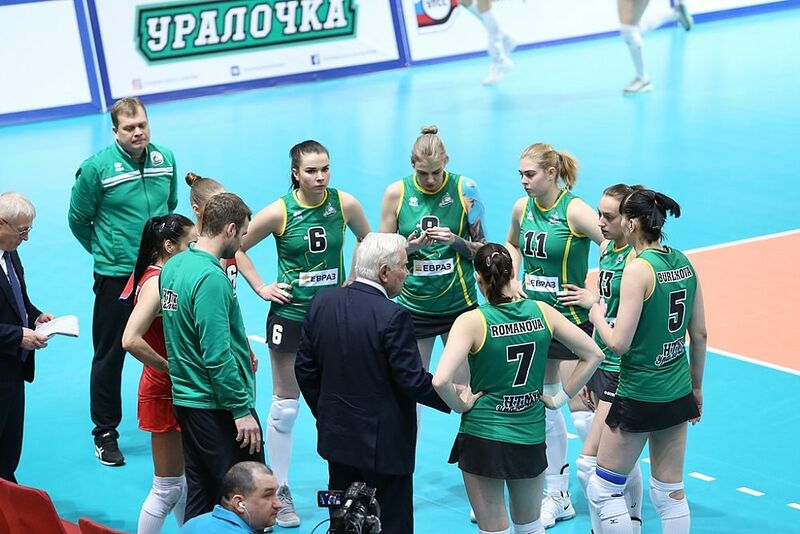 Our girls "revived" and began to show better volleyball. 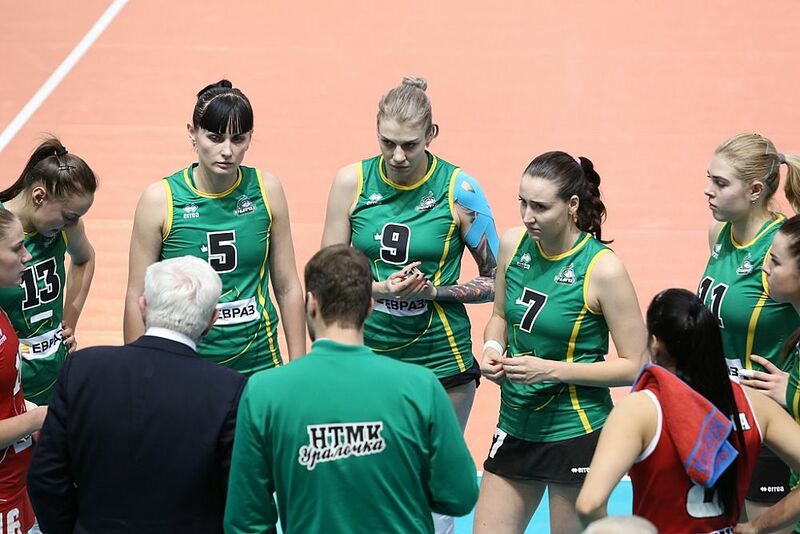 None of the teams wanted to give in that evening; however, nobody could stop the hostesses. 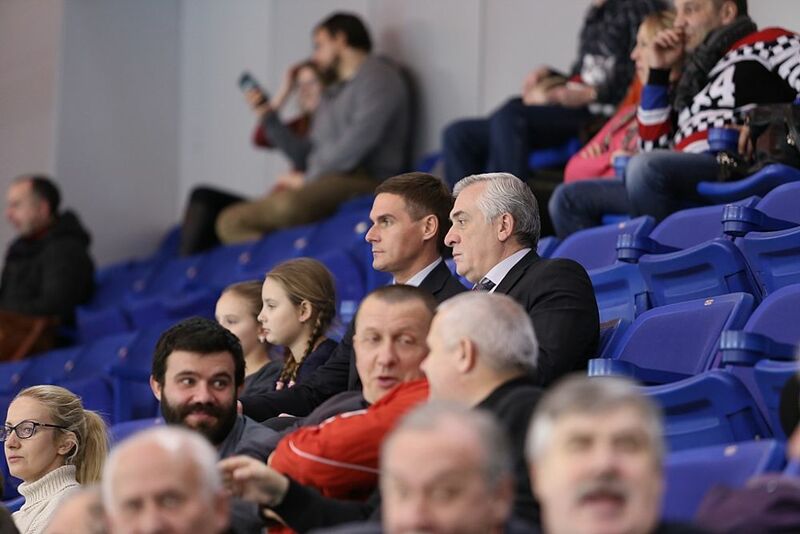 That resulted in the win with the score 3:2. 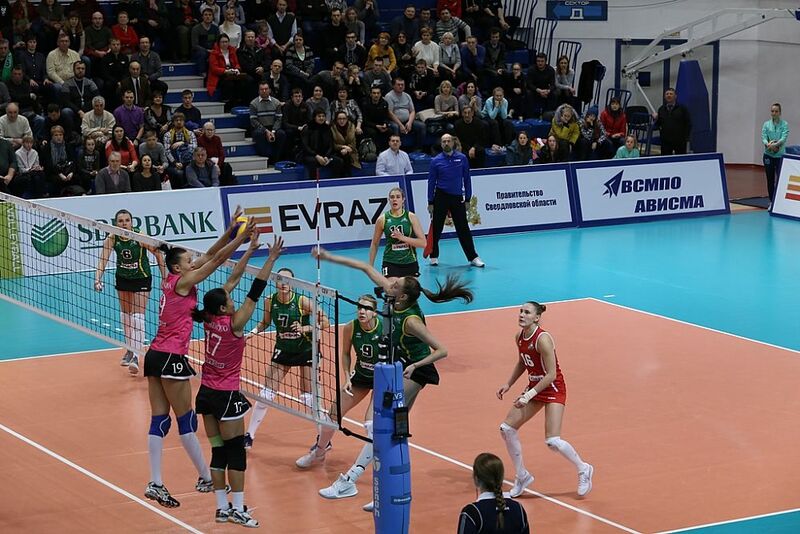 The next match for the CEV Cup will be held on January 24 in Yekaterinburg. 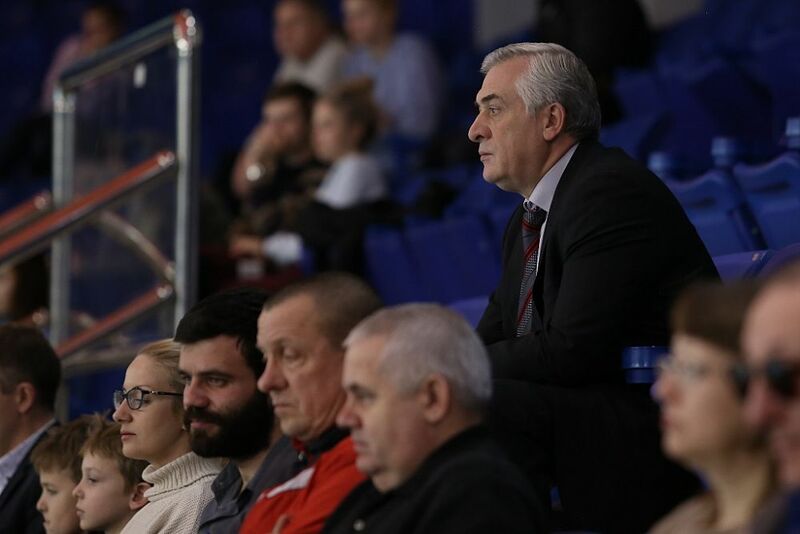 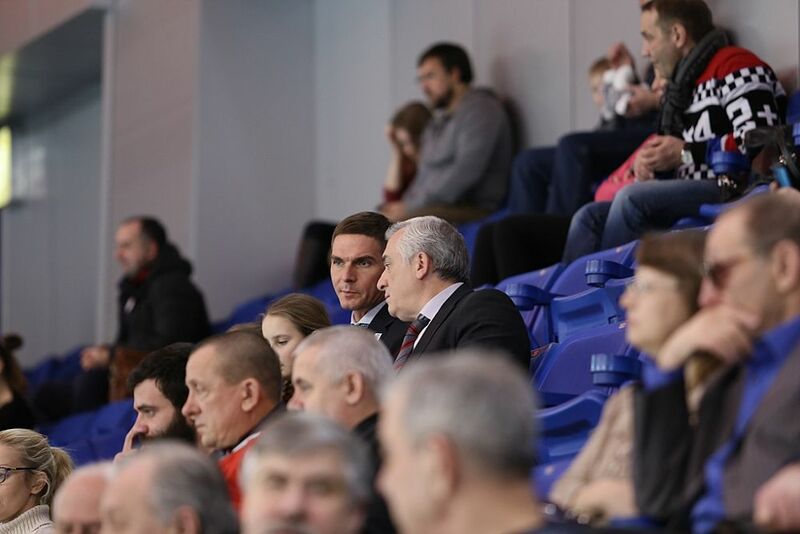 The opponents of Uralochka – NTMK in the round of last 16 has not yet been decided.